Indoor plant care is something many people wish they knew more about. From understanding the lighting and water requirements of house plants to knowing what type of plants will grow best inside the house, there is a great deal to learn. One you learn basic indoor plant care, tailoring your care to individual plants becomes easier. Your plants have gone from perfect growing conditions to a new home that may feel less than perfect. The closer you can come to providing all of your house plants' needs, the happier and healthier they will be. Basic indoor plant care, including water and light, will vary. Aloe Vera plants, for example, need less water than a poinsettia. A fern prefers filtered light or shade while a gardenia loves bright sunlight. Fertilizers also need to be considered. A house plant needs to be fed more often than plants typically grown outdoors. Neglected soil can easily become dead, offering few, if any, nutrients to your plants. Some of these plants will need to be fed weekly while others may go much longer with very little need for soil amendments. Having plants in your home offers many benefits. Not only do they brighten up your decor, but they also improve air quality indoors. 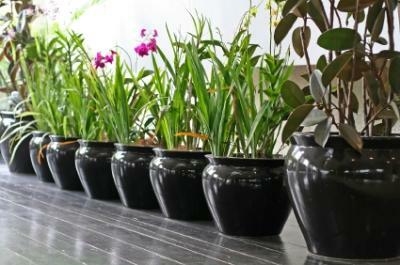 Be aware though, that if you have pets or children you need to exercise caution when selecting a plant for your home. Some plants are very toxic if ingested. If these plants are kept well out of reach, however, they can still make a lovely addition to a room. This needs to be considered before your purchase so you will have the placement of each plant already decided before it ever comes home. Look around your home and decide where you think a house plant will make a nice addition. Now consider the lighting and humidity that this space provides as well as how the plant will be displayed--on a shelf or table or hanging from a hook. Now you are ready to decide which plant will match the environment that you are able to provide. This will assure you of a better success rate than buying the first plant that catches your eye and hoping it will fit in somewhere. Also, read up on plants you are interested in here on LTK Garden. There is an abundance of information to help you with your indoor plants.